Q. I get an error message when I try to access Google Scholar through the library website. 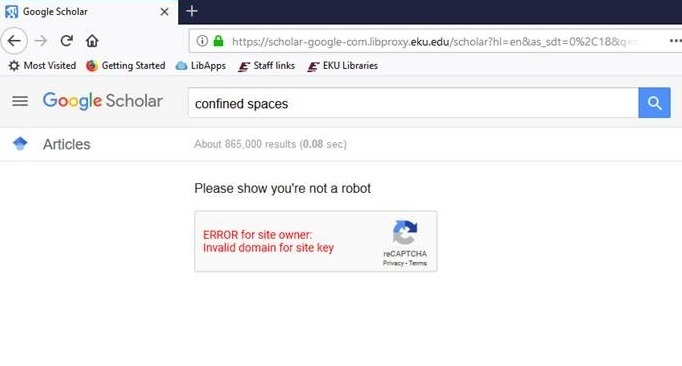 If you clicked the Google Scholar link on EKU Libraries' homepage and got an error, you may be affected by a problem related to the proxied version of this link. It is best if you login to your Google account in order to associate this setting with your account. If you do not have a Google account, you will need to have cookies enabled in your internet browser in order for this setting to "stick."